The AMC series delivers a disturbingly brilliant instalment that's reminiscent of earlier seasons. Contains spoilers from The Walking Dead Season 9, Episode 14. It's been a tough couple of years for The Walking Dead, but the ninth season has made great strides in repairing some of the damage. The AMC series' reinvention has ensured that the latest batch of episodes are of a stronger level to what we've seen over the last few seasons, and the more focused direction has aided significantly in making the show appear more like its former self. The latest episode, Scars, takes things to a whole new level. After months of wondering how Daryl and Michonne got those scars on their backs - not to mention what caused the animosity between several of the show's central communities - this instalment finally gives us the answers we've been yearning for. 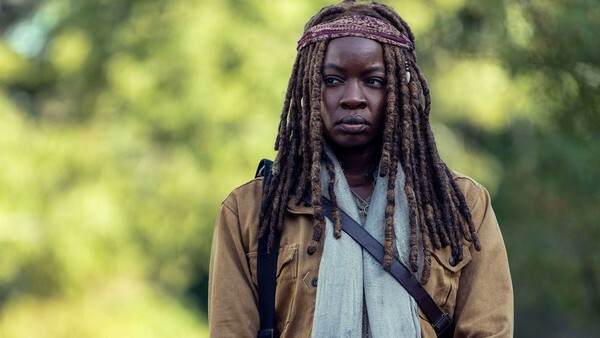 While the main narrative continues into Scars, the majority of the episode is spent in the past, highlighting one of Alexandria's darkest hours as Michonne discovers that someone she once trusted has stabbed her in the back - quite literally, in a sense. With stellar performances from the cast, sublime direction and a disturbing script rife with conflict, Scars reminds us how good The Walking Dead used to be - and, on occasion, still can be.